By Amy Grant. Arranged by Cindy Blevins. Sheet Music Single. 12 pages. Published by Cindy Blevins (H0.422817-501). 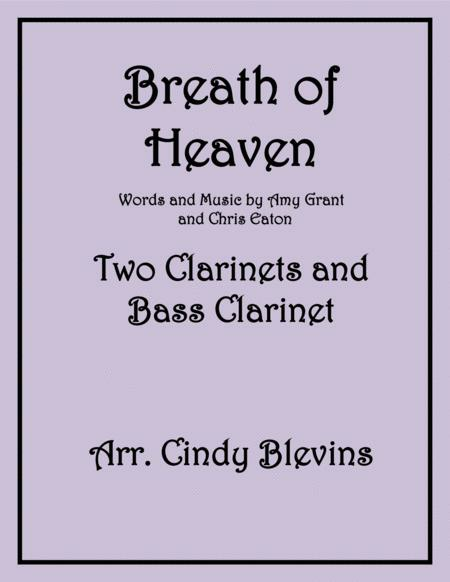 This is a beautiful, playable arrangement for two Bb clarinets and 1 Bb Bass Clarinet. 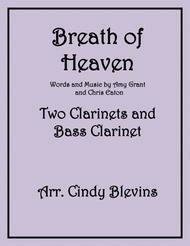 You receive the score, the Clarinet 1, Clarinet 2 and the Bass Clarinet parts. The sound clip is digitally produced.